The Standing Stone: Castlecuffe, Fortified House, Co. Laois. 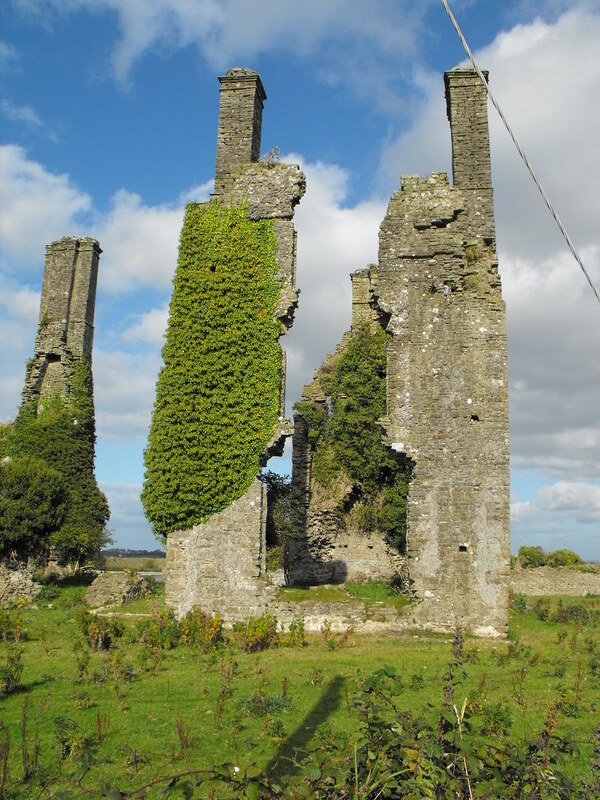 Castlecuffe, Fortified House, Co. Laois. Location – On the R422 between Cadamstown and Clonaslee. OS: N 282 113 Longitude: 7° 34' 42.4" W Latitude: 53° 9' 5.37" N Description and History – This impression that you get when you first see this severely ruined fortified house is that its original size must have been immense. Standing nearly 15m high this house would have been 30m long and 20m wide. The Jacobean chimneys take up a lot of this height and give the impression of an imposing building. 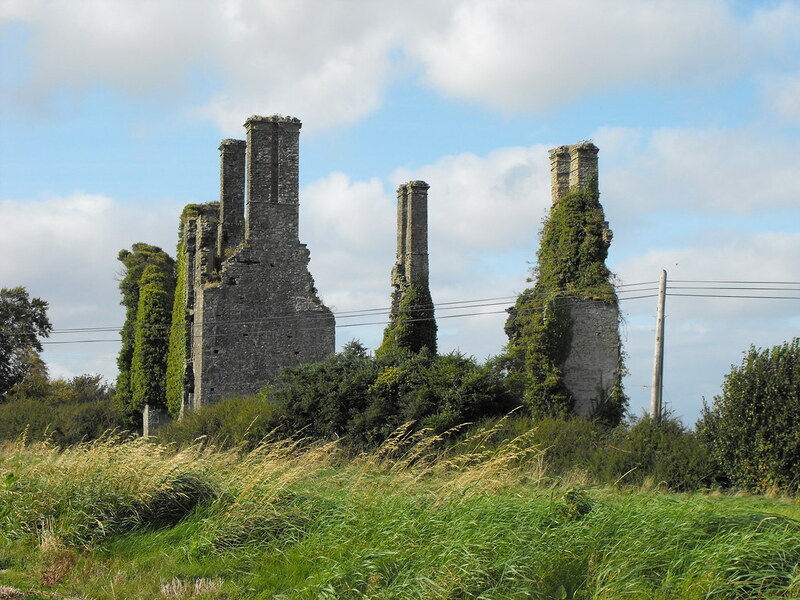 Unfortunately it is in a very bad state and only portions of the gable ends survive along with the huge chimney stacks. Portions of the back wall also survive. The W wall is the best preserved but is covered with ivy during the summer months so the winter is the best time to see this site. 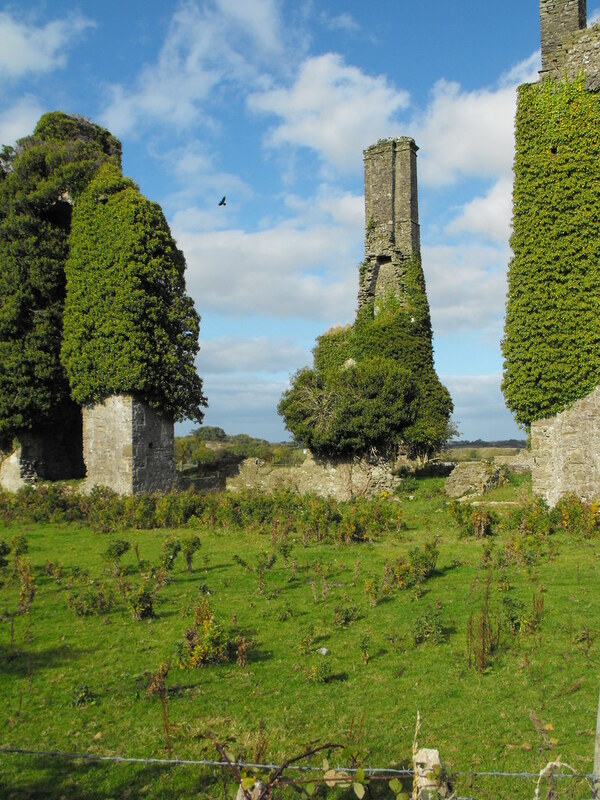 The field the ruin is located in is also known as Pairc na Sagairt which means ‘the priest’s field.’ The land originally belonged to the O’Dunnes but became the land of the Coote’s in 1560 and Sir Charles Coote built the present building. His wife was Dorothy Cuffe from Cork, after whom the castle is named. Little else is known. Difficulty – It is right on the side of the road so it is very easy to find but it is on a farm and the field it is in is used for cattle. There are strict signs not to trespass so permission is essential. For more fortified houses, click here. 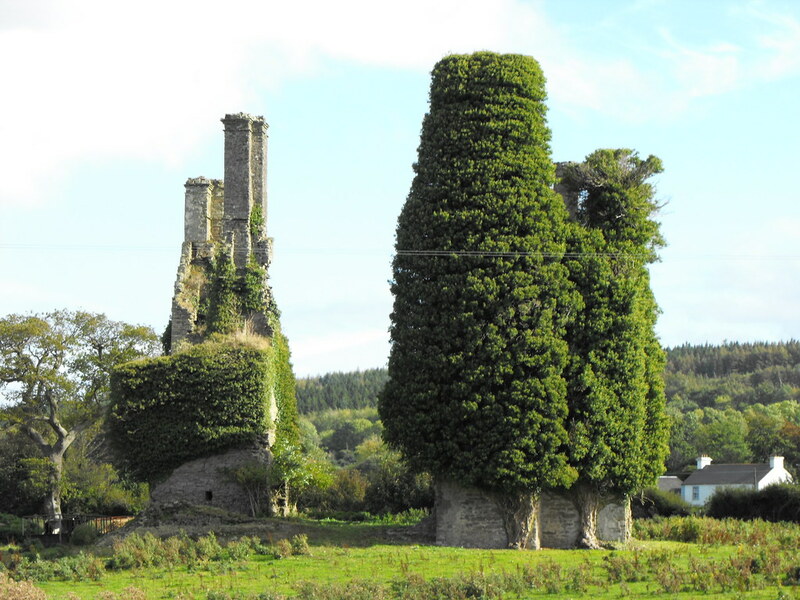 For more sites in Co. Laois, click here. 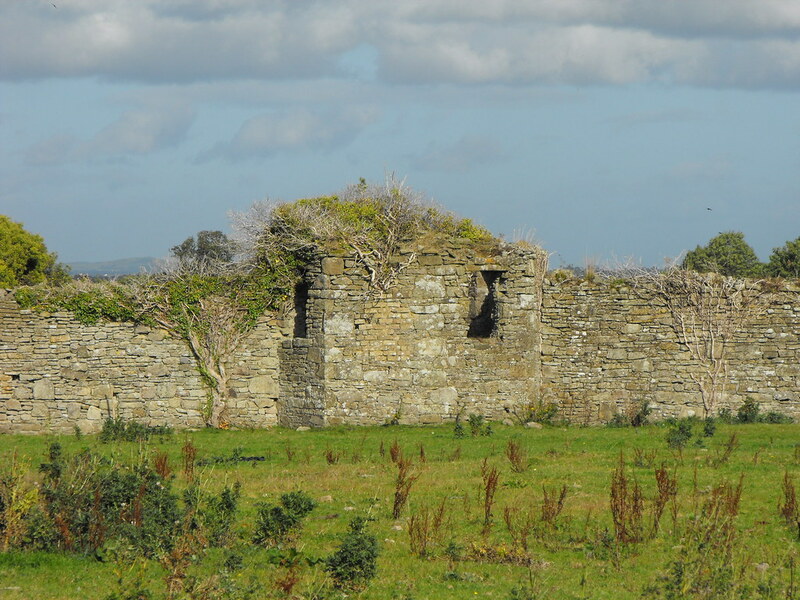 Part of the surviving bawn.